What we do know about H.J. 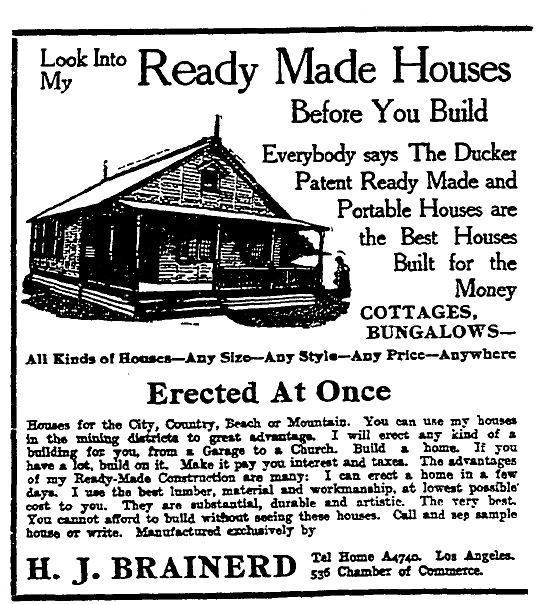 Brainerd is that he built a fair number of “portable homes.” What we don’t know, except in one case, is exactly where he put them. 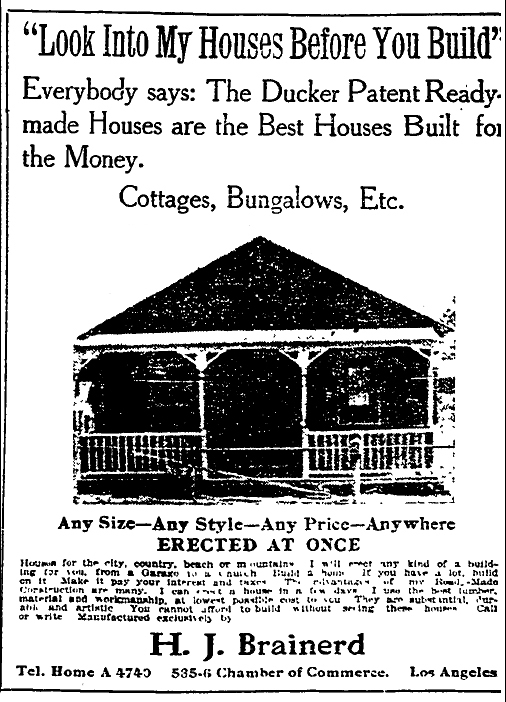 The only example of a Brainerd home that I’ve located can be found at 1158 E. 41st St. 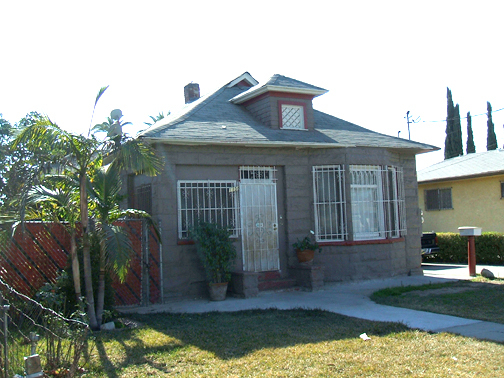 Although it appears to have some sort of masonry facade, the house is of the proper vintage and resembles the few photos I have located of Brainerd homes. 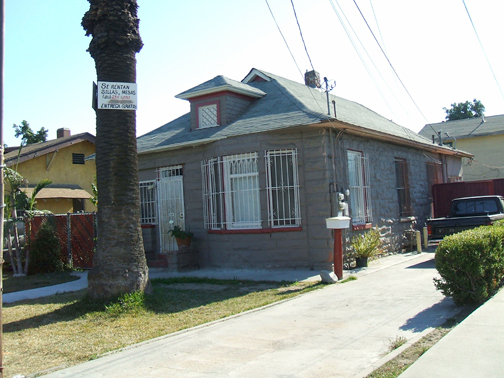 Of course it has a big palm tree in front, the telltale sign of a home from this era. 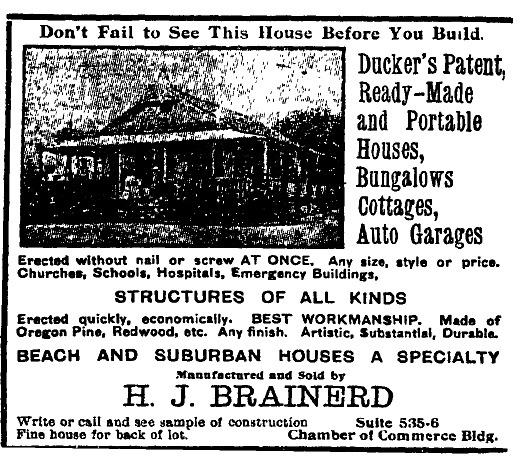 If anyone has information on other Brainerd houses in the Southland (or anything about Ducker’s Patent Homes), let me know. This entry was posted in Architecture, Uncategorized and tagged architecture. Bookmark the permalink.